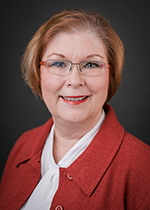 Deborah Marks Conley, MSN, APRN-CNS, GCNS-BC, FNGNA, Gerontological Clinical Nurse Specialist and Director of Geriatrics at Methodist Hospital, recently received the American Nurses Credentialing Center’s 2019 Certified Nurse Award in the Gerontological Clinical Nurse Specialist category. The ANCC recognized Conley's significant contributions in the development, design and implementation of strong models of care for older adults, such as Acute Care for the Elderly (ACE) Unit, Nurses Improving Care for Health system Elders (NICHE) Program, Hospital Elder Life Program (HELP) and the Geriatric Resource Nurse (GRN). Through these programs, Methodist is better prepared to meet the specialized needs of the older adult. Conley's tireless commitment to the pursuit of excellence in clinical practice toward achieving optimum clinical outcomes for the older adult patient population and their families, truly projects a very positive image for what an ANCC certified nurse should be. Her work exemplifies excellence in the dimensions of innovation, collaboration, leadership and professional risk taking, and patient-centered care – which are hallmarks of the award.